Scott's Essay for "The Norwegian American," "AGAIN I SAY, 'I LOVE NORWAY'"
Scott teaches creative writing at The Cleveland Institute of Art, ranked by Money magazine as one of the top 5 art art and design colleges in the Midwest. 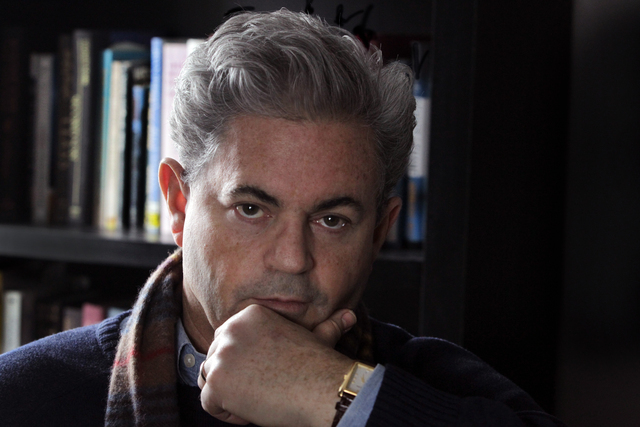 "A Conversation with Novelist Scott Lax"
Born in the City of Cleveland, Ohio, Scott Lax is a novelist, nonfiction author, essayist, playwright, screenwriter, producer, and writing teacher. Scott is on the Liberal Arts faculty at The Cleveland Institute of Art, where he teaches the creative writing courses, "Screenwriting" and "Mystery and Suspense." Scott was called, "A master wordsmith of the first order," by The Midwest Book Review. He has been a Bread Loaf Writers' Conference Bernard J. O'Keefe Scholar in Nonfiction and Sewanee Writers' Conference Walter E. Dakin Fellow in Fiction. 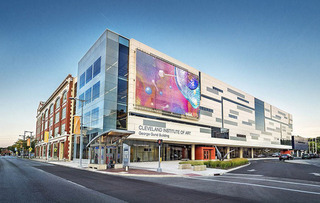 Among his awards and recognitions are a Certificate of Congratulations from the City of Cleveland for his body of work (2002), and induction into the Chagrin Falls High School Achievement Hall of Fame on October 6, 2016. Scott won four 1st-place film festival awards as producer of the feature film version of The Year That Trembled, including “Midwest Filmmaker of the Year” from the Cleveland International Film Festival. He is also a produced playwright and award-winning short story and nonfiction writer. 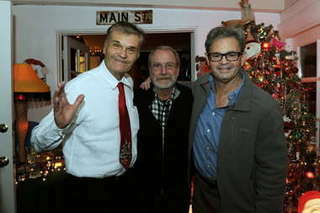 A longtime professional drummer who's played with Bo Diddley, among many others, in 2012 Scott was co-creator, co-executive producer and co-writer for a TV pilot with Fred Willard and Martin Mull. He's currently writing the screenplay adaptation of Vengeance Follows. Scott resides in the Chagrin Valley in Ohio with his wife, Lydia, where they live with their 7-year-old son. 2002 - City of Cleveland Certificate of Congratulations for body of work. 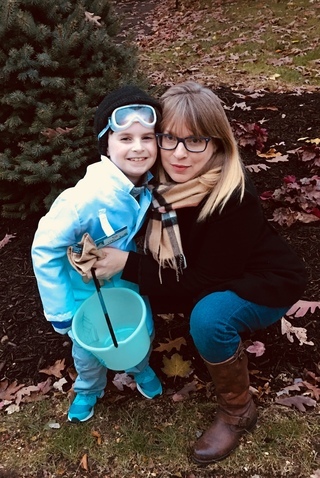 1999 - Named to fourteen-person list of Hiram College’s “Most Illustrious Alumni"
February 14, 2010 - Scott Lax's short story, "Sales Call," won 2nd Place for MUSE Magazine's 2010 Literary Competition. 1999 - The Year That Trembled, a Novel named Vermont Book of the Year, Runner-Up. Dec. 1998 - The Year That Trembled, a Novel, named of of 1998’s “Milestones in Fiction by Denver Post. May 22, 2010 - In the Ohio Professional Writers 2010 Communications Contest, Scott Lax won Second Place for "Original Columns, General." 1. First Place for "Original Columns, General"
2. First Place for "Feature Story, Magazine"
3. Second Place for "Special Series, Print Media." Click to buy Scott's novels from the Fireside Book Shop – let them know if you'd like Scott to personalize it! 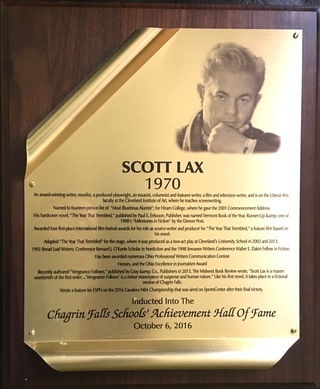 Scott was inducted into the Chagrin Falls High School Achievement Hall of Fame on October 6, 2016. A review of VENGEANCE FOLLOWS by "The Norwegian American" periodical. Review of THE YEAR THAT TREMBLED by "Norwegian American"
Scott wrote magazine columns for many years. Click here for a selection.